Opened in 1915, the Lausanne Palace is located in the heart of the city and has always been a place full of elegance. To this day, the charm of the Belle Époque has been preserved. Here you celebrate and therefore meet in an extraordinary ambience. Your guests can also spend the night luxuriously in the 140 suites and rooms. For wedding celebrations, birthdays, receptions and other festive occasions there are five banquet and reception rooms. Four of them are flexibly adaptable. In this venue you can hold receptions with up to 500 persons. Banquets are possible with up to 300 guests. The hospitality of your guests is also in good hands with the experienced team of the event location. For meetings, workshops and conferences the 14 air-conditioned and well-equipped conference rooms of the venue are used. Business events can be realized with up to 300 participants. All conference rooms have natural light and are equipped with modern presentation technology. At the entrance to the conference area is the business center with PC, printer and free internet access. Culinary highlights are provided by the restaurants of the venue. The Michelin-starred La Table d'Edgard is a gourmet restaurant run by Edgard Bovier. In the Brasserie Grand-Chêne there is a French flair and the Côté Jardin spoils its guests with Mediterranean delicacies. At Sushi Sushi Zen, the sushi masters prepare the food right in front of the guests. In the evening, the three bars of the event location are a popular meeting place for hotel guests and locals. Visitors can relax in the large wellness center with its pool, whirlpool, sauna, hammam and gym. 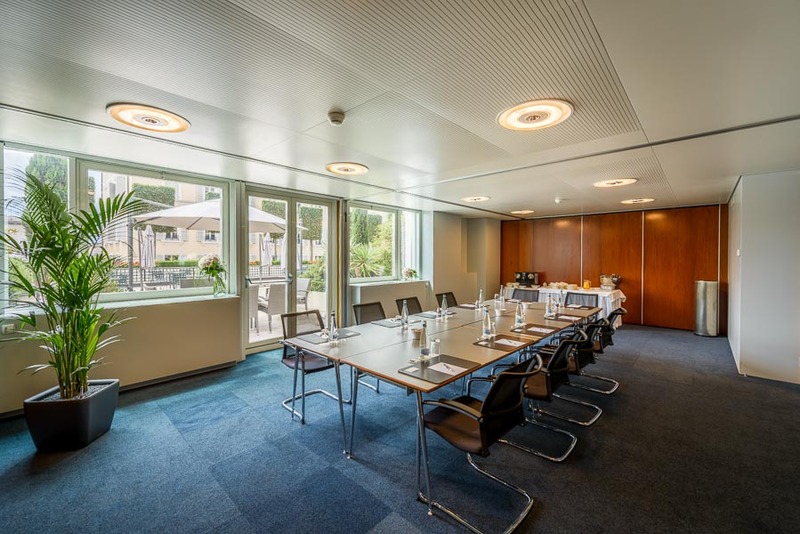 The Lausanne Palace team is looking forward to hosting your event.